Is there a better way to celebrate a new expansion? 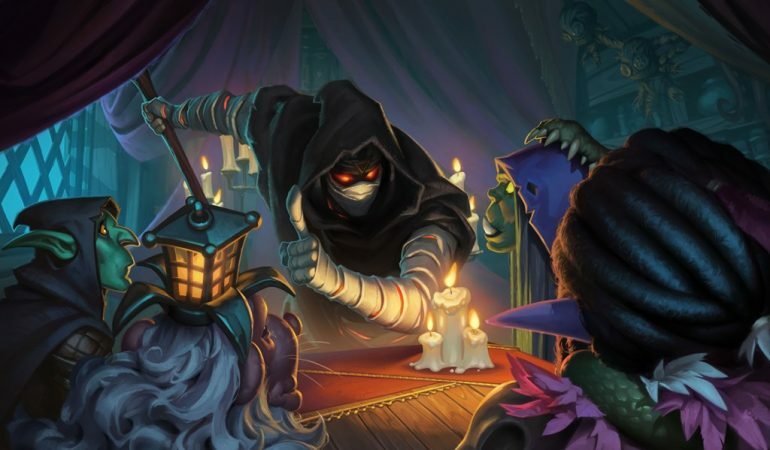 Hearthstone’s new Rise of Shadows expansion goes live on April 9 and it’s bringing a ton of cool cards and other features to the game. Among the fresh goodies is a host of free card backs that you can pick up right now. When a new expansion is released, it usually has a variety of new cosmetic items to go along with it. The Rise of Shadows expansion looks to bring a ton of new features to the game, but first it introduces three new card backs. Each card back is exclusive to a certain Hearthstone playing device, but there are ways to acquire all three without buying a second mobile phone. Each of the new card backs is obtained by logging into the game on a certain type of device. 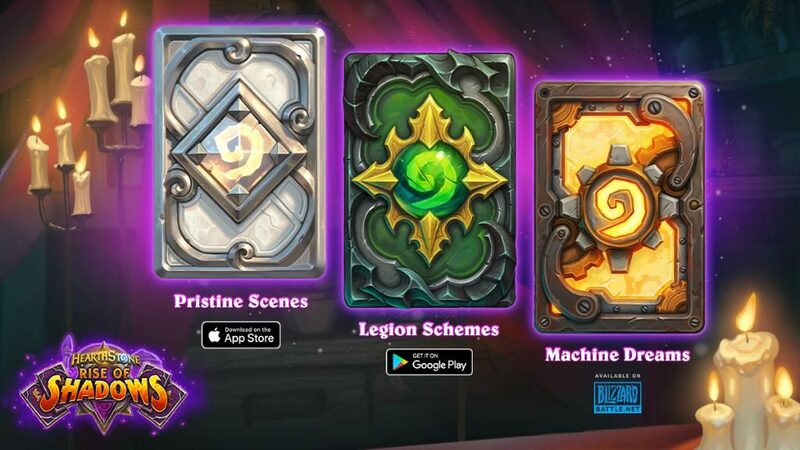 Machine Dreams is acquired by playing on the Battle.net client, Legion Schemes can be unlocked by playing on an Android or Google Play associated device, and Pristine Scenes comes from playing on an iPhone. While getting all three may seem hopeless because most people have no reason to own an iOS and Android device, there are loopholes that don’t break the bank like a new phone would. The obvious option is to find a friend who plays Hearthstone on a different type of device and allow each other to log in on the other person’s phone. Are all your friends committed to the same type of cellphone? There’s one more option to potentially help you out. If you’re a PC user, you have the luxury of being able to download emulators. An emulator is essentially a program that runs on your computer to mimic a different device. People regularly use emulators on PC to play old video games, but now you can use them to access your favorite cellular app store. IOS users will want to use a program like BlueStacks. This program is free and will allow you to sign into the Android app store on your PC, download Hearthstone, then sign into the game and get the card back as if you logged in on an Android device. The exact same thing can be done for the iOS card back on a variety of emulators available for PC. Since there isn’t an iOS emulator that has conquered the market like BlueStacks, the one that works best for you might vary. Check out this list to see some of the best iOS emulators available and to figure out which one might work best on your PC. 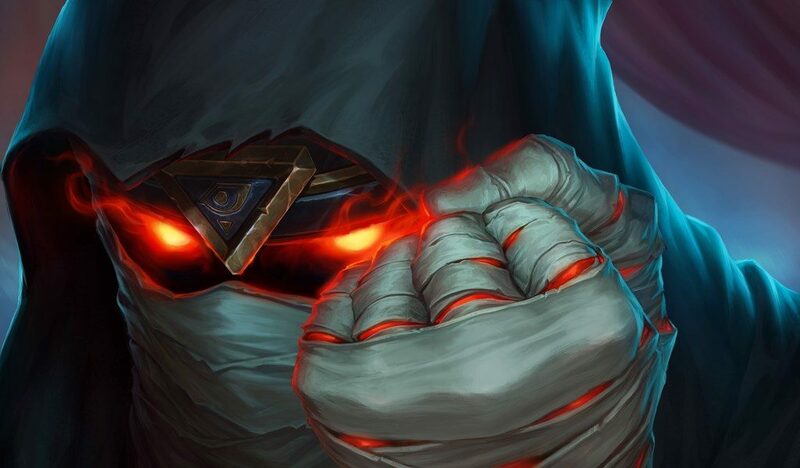 You can check out all of the new features coming with Rise of Shadows when the expansion goes live on April 9.